Fight another day: Rahul and Priyanka. With merely 44 under his belt, is it realistic to expect Rahul to bust his guts for the ultimate trophy? Why is the Congress in this mode of double containment? One does not have to look far for hints and guesses: Priyanka Gandhi has, in so many words, clarified her party’s intention. “We are preparing the ground for 2022″ – the Assembly elections. In other words, for the Nehru-Gandhi parivar, the 2019 Lok Sabha elections are not a matter of life and death. Will Narendra Modi return signal the end of democracy, usher in fascism and worse? The Congress is not taken in by such alarmist nonsense. The Congress has not been able to properly market some of its smart, double-edged moves. Fielding Rahul from Wayanad in Kerala has been criticized for the obvious reason: that Wayanad is a seat from where the Congress always wins. 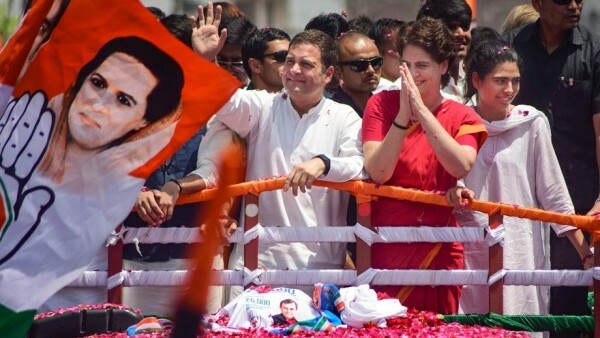 The unnecessary insertion of the Congress President in the battle has signalled the party’s antipathy towards the Left with which it had been in conversation for some coordination in West Bengal. Not surprising, therefore, that in the space of a month both Rahul Gandhi and Priyanka Gandhi have publicly backtracked. They have both said separately that they are preparing the ground, particularly in Uttar Pradesh, for 2022. Partymen are thinking of 2024 Lok Sabha elections. In striking this posture, they miss the basic point. Election 2019 was supposed to focus on bringing down the BJP. The frontpage photographs on May 23, 2018, in Bengaluru and January 19, 2019, in Kolkata of the Mahagathbandhan represented a United Front against the BJP. Once this mission was accomplished, the coalition would get into a huddle to select the leader of the House. If the results are more or less even, this would, for the BJP be an excellent election to lose. The Ram Temple remains unbuilt. Kashmir and the Pakistan cauldrons are bubbling over. On each one of these issues, the B team of the BJP, namely the Congress, will simply wilt. Pakistan Prime Minister Imran Khan was succinct: chances of an Indo-Pakistan dialogue are more likely in the event of Modi winning because a weak opposition government would be too much in a state of funk to go against the current of anti-Pakistan nationalism.